Mr. Cox sends his thanks for the Christmas gift sent to him from Berry. 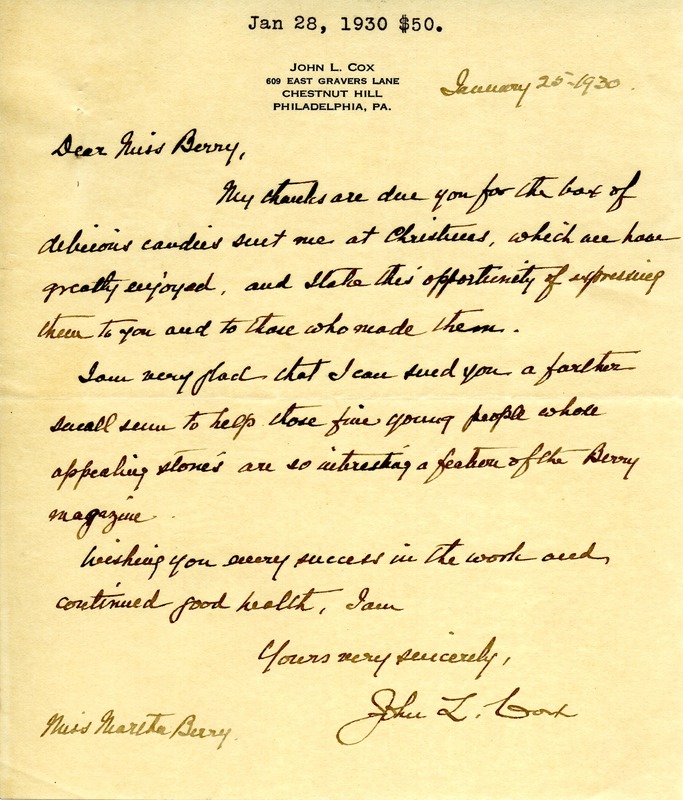 Mr. John L. Cox, “Letter to Martha Berry from John Cox.” Martha Berry Digital Archive. Eds. Schlitz, Stephanie A., Chelsea Risley, Angela McCavera, et al. Mount Berry: Berry College, 2013. accessed April 20, 2019, https://mbda.berry.edu/items/show/12204.